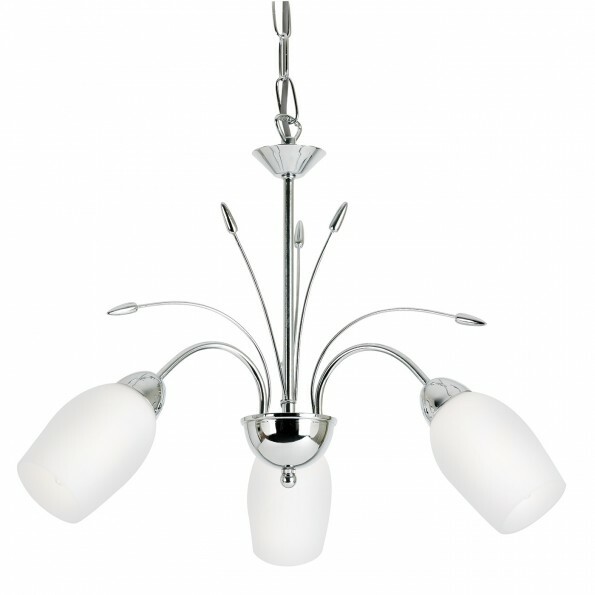 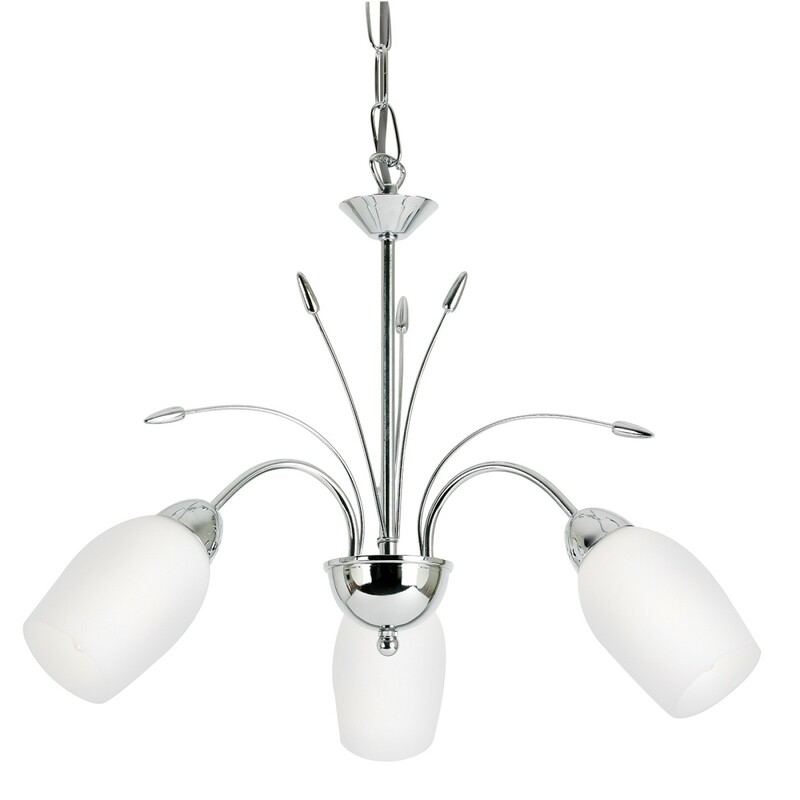 A detailed 3 light ceiling pendant with down-facing opal glass shades and finished in chrome effect plate. 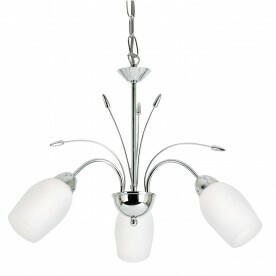 Dimmable, suitable for use with LED lamps and the height adjustable at time of fitting. 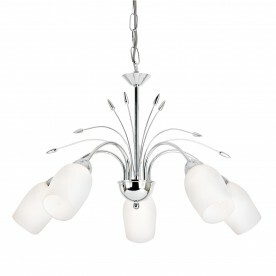 Can be converted to a semi flush fitting.